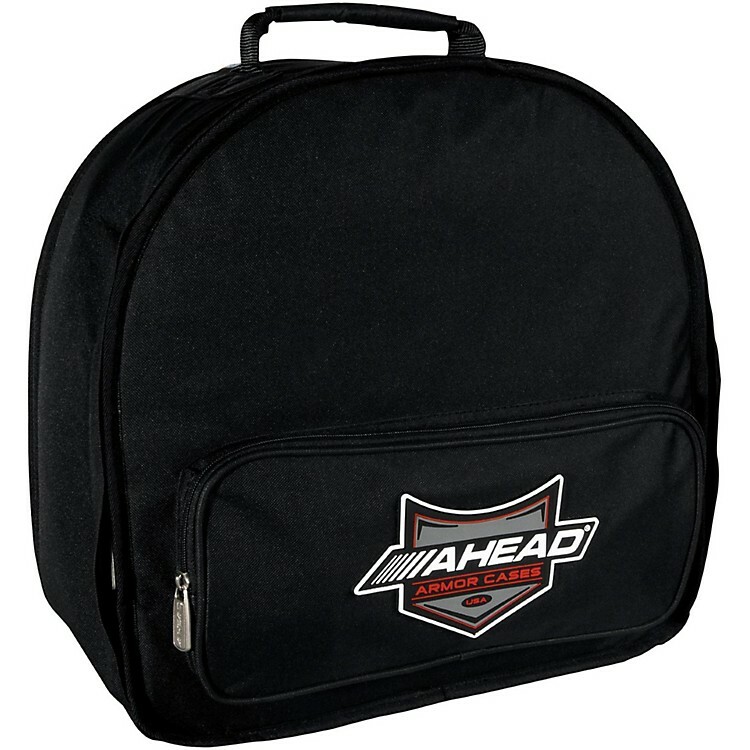 Ahead Armor Cases Large Drum Throne/Snare Case and Stand 18 x 16 x 11.5 in. A multi-purpose soft drum case for a student snare or throne top. The Ahead Armor Drum Throne/Snare case has some innovative features that are worth a detailed investigation. All of the cases have a heavy-duty, waterproof, 600 denier polyester exterior, complemented inside by their "DX-Core": two layers of high-impact foam padding and a soft interior lining of premium Sherpa Fleece. This combination offers the snugness and smaller dimensions of soft cases, while still retaining the resistance and strength of hard plastic cases. Finally, Ahead Armor Cases has made it easier than ever to get your drum in and out of its case with the 'Dynazip' zipper. The cutaway design allows the top and bottom of the case to completely separate, eliminating tight squeezes and vacuum effects. This case will hold either one snare drum and snare stand each or one drum throne top and drum throne base each. Order today and take a step Ahead!